The Eyre Peninsula is one of the most beautiful regions of South Australia. We’ve organised an itinerary guide for you to see the highlights of the Eyre Peninsula. It’s about a 1500 km round trip, with visits to Port Augusta, Port Lincoln and Venus Bay. Find a bargain car rental deal from Adelaide Airport with DriveNow and begin your journey. Drive 220 km north of Adelaide to arrive at your first stop, Port Pirie. Between the sheltered waters of the Spencer Gulf and the gorgeous Southern Flinders Ranges, is this lovely coastal city. A visit to the local Historic and Folk Museum is a must. Step back in time as you explore buildings from the late 1800s and the remains of the largest marsupial that ever lived. 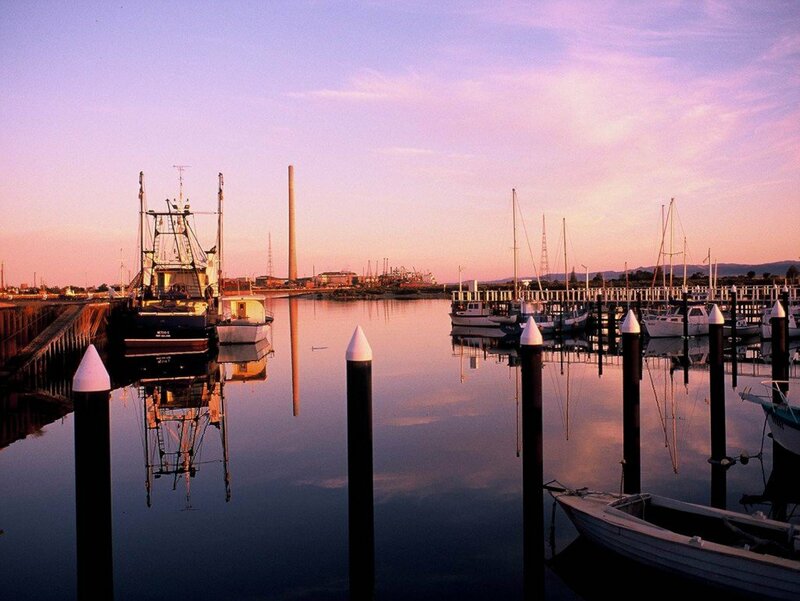 The second stop on your Eyre Peninsula self-drive holiday takes you to Port Augusta. This small city is full of things to do if you like getting outdoors. There’s the Australian Arid Lands Botanic Garden, the Wadlata Outback Centre and the famous Water Tower Lookout. Cowell is the perfect destinations for families who love swimming at the beach and fishing. One of the best spots for swimming with young kids is Lucky Bay, which is just 16 km north of Cowell. Drive 160 km to reach one of South Australia’s destination for adventure-lovers, Port Lincoln. The town’s most popular (and famous) activity is shark cage diving. This terrifying but thrilling experience lets you come face to face with the ocean’s greatest predator. If you love exploring rugged coastlines and local wildlife, then make the time to do the South Head Walking Trail. Visitors who do this walk often spot sea eagles, dolphins and sea lions, to name a few. If travelling between May and October, keep an eye out for whales on their migration. This is another great fishing spot on your tour of Eyre Peninsula. Port Broughton is a fantastic place to go out on a fishing charter. It’s perfect if you’re not very experienced, as you’ll have the help of local guides who can teach you a few tricks to improve your luck. There’s also a Heritage Centre in town, where you can pour through old photos and artefacts about the town. Travel another 170 km and you’ll come to the end of your journey of the Eyre Peninsula. Stay in Adelaide as long as you like. There’s plenty of things to do, including spending time on the beach at Glenelg, visit the zoo or the beautiful Adelaide Botanic Garden. You can even go shopping at Rundle Mall or base yourself here and take an overnight trip to Kangaroo Island. Things you need to know about driving a car in post-earthquake Christchurch. On February 22 2011 a major earthquake hit New Zealand’s second biggest city, turning the streets into veritable off-road type pathways. Two years on, the earthquakes are now minor and few and far between, and tourists from the rest of New Zealand and around the world are flocking in to see Christchurch as it rebuilds. So you want to see a Kiwi? New Zealanders are famous for their indigenous flightless bird, the Kiwi, so any road trip in the country requires a visit to see one in real life. If you are expecting to see these fuzzy little birds running around on the roadside, then you may be in for a disappointment – they are an endangered species, and as such, are protected in zoos and specialised sanctuaries around the country.